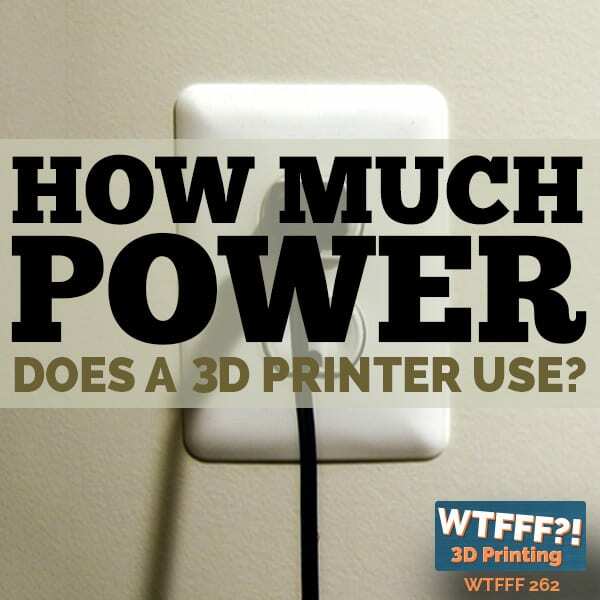 3D Print Power Consumption - How Much Power Does a 3D Printer Use? We are going to take a bit of a deeper dive into 3D print power consumption. We have been wondering about this for a while. We talked about it in passing but we did not have a lot of data. We also considered talking about this during Earth Week but it ended up getting bumped for another topic, which was Beer Filament. Filaments have a bigger environmental impact on 3D printing, than the electricity consumption. As we have been mapping out potential businesses involved in 3D printing, we have also been exploring and we intend to launch a significant business in the 3D print economy. We were considering doing some unique print-on demand type of business. The questions that we had were, “Do we really have to specialized 3D print power consumption? What do we need to do if we were to build out a facility for that? 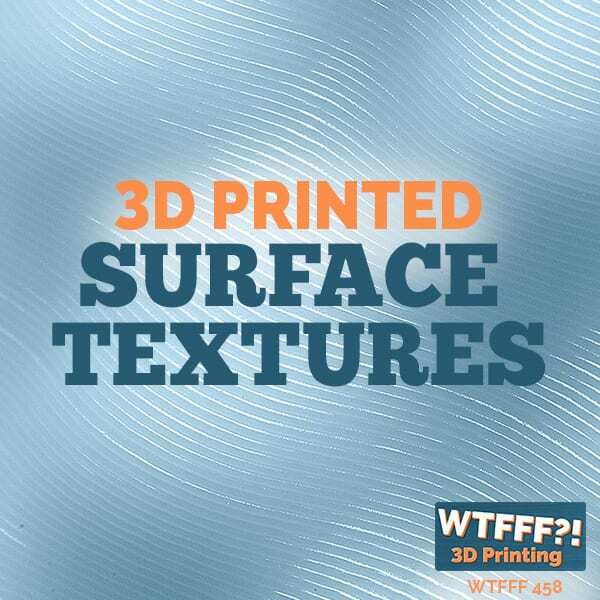 How is the cost implication per print and per piece?” Basically how much power does a 3D printer use and what is 3D print power consumption. We were really looking for numbers and information and the only thing we can go on was our own amp usage, watt usage, and all that stuff here on our own printer. It seemed inconsequential after we dove in deeper. It was terribly imprecise. If you have been listening to this podcast consistently, one of the things that you know is that we are designers and we care about the content more than anything else. But we are also very detail oriented and we are planners and list makers. When it comes to analyzing if a product is viable, you really need to analyze all the costs and not just the machine cost. You can do your filament usage and your average usage per printer as well as knowing how much of a factor is that. We did all sorts of analysis on 3D print power consumption and one of those we tried to do was in electricity. 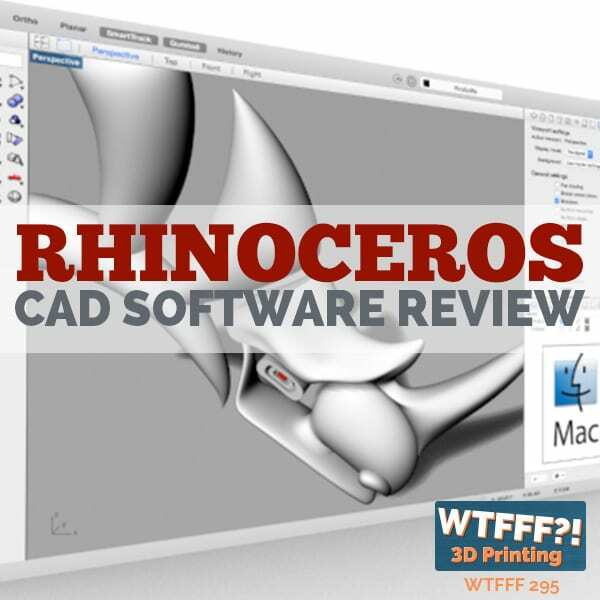 For us in our office or home office, we have a dedicated office as we are reviewing 3D printers, which is why we got 3 or 4 3D printers going right now and are under review. To see how much 3D print power consumption and electiricty we are using, I put this big industrial power in there so we can plug them all in the bench. It never uses a lot of electricity that is even noticeable on the bill. We also have solar panels and we run our business here where we work most of the time. Sometimes the printers run 24 hours a day but we work 10 hours daily in our office where the lights are on, the computers are running. When we look at that we say, “If we weren’t doing that we would net zero in our electric bill from the solar, as typically we pay for our overall space which is $750 extra per year. $750 of electric bill for the whole year is nothing, that’s about $60 some odd dollars a month. Unfortunately we don’t have a benchmark for 3D print power consumption prior to 3D printers because since we have been here there was only a month or two without 3D printers. We didn’t have a bunch of time that passed without 3D printers. We don’t really have a gauge for what it was like before it had an impact on the overall bill. We have found some actual quantitative data on the internet of some people who have researched with a proper energy consumption meter, where you would plug in the meter between your 3D printer and the wall outlet to see how much power it did draw. Another interesting thing is that while I was analyzing this about our cost and potential business; I was also considering what 3D printer we might buy. We asked every company that we talked to on how much electricity does their printer consume, but none of them knew the answer to that question of 3D Print power consumption. Certainly there had to be an engineer somewhere who figures out the specs of machines as well as its power supply. Somebody has to because it is my favorite scene from Apollo 13. They were to trying to take all the amps out, and they were starting out their command module and when it was frozen to their approach to Earth. They only got 12 amps which is enough to run a vacuum, which I had experience. Back in 1995 the year our oldest daughter Alex was born, I worked for Bissel Vacuum on a project basis right before I delivered her. My job was to redesign and help them with the color program of where they would put stickers on the vacuums that would say 12 amps. They have all sorts of different things and one of those was 12 amps. When Apollo 13 came out, I still can’t believe that it was still 12 amps. 25 years after Apollo 13, you can now run 12 amps. Somewhere along the lines, people such as engineers in companies measure this. In my mind, how could these printer companies not know this piece of information about 3D print power consumption? That really freaks me out a bit because as product designers doing designing products for other companies; we put together entire specifications for getting products manufactured and sometimes include electronic parts. You also have to know if it is running on regular batteries or rechargeable batteries. All electronics UL have to be listed and the UL listing has its own test program, and that test protocol will list that out because whatever you say it is, it has to do. It just blew me away that these 3D printer companies did not know how much electricity they consume, which is why this became into a bigger research project. At the end of the day, we did determine the electricity consumption on a per-part printed basis or even on a per-machine used in the business basis was so insignificant that it really wasn’t anything that we had to worry about. 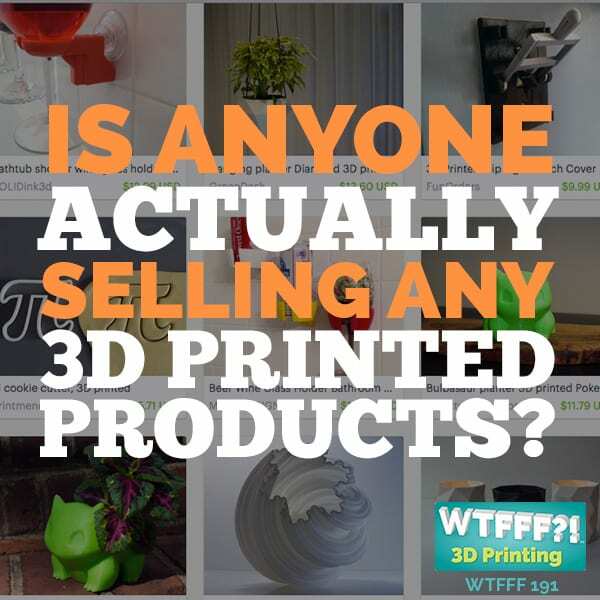 There is a company in the UK and they converted everything into sterling Pounds which doesn’t help us, but there are some percentages and things here that a company in the UK called 3D Print HQ did it with the Replicator 2. But I still think that it is relevant today because of companies like Voodoo Manufacturing in Brooklyn that has an entire service bureau. We have had them print different things for us. 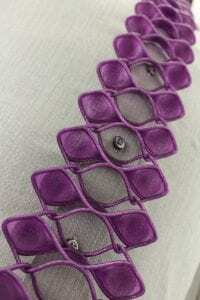 They did a fabulous job and they are the only 3D printing service bureau doing FFF 3D printing that I found could produce a quality that was acceptable on my 3D printed tie that was just as good as I would do and would completely trust them to make a run out of it if I need them to. They did a good job, but they are using Replicator 2. The same data here that I am going to give you is relevant even in today’s world. I know they don’t make Replicator 2’s anymore. By the way, you can get them second hand. A lot of people still like that printer and still use it today. What they found is that that printer uses about .05 kilowatt hours for a 1 hour print, which is a very low amount of electricity. The average use of 3D printers for an hour is 50 watts. Incandescent bulbs have 60 watts and 30 watts, and at one time people equated that at how bright the bulbs are and it might have been, but it was really a measure of how much electricity that bulb would use in an hour. 50 watts for an hour and a kilowatt hour being a thousand watts is the reality. When you are buying electricity or paying for electricity on your bill, you are paying it for how many cents you pay per kilowatt hour. I know just because of our bills and the solar panels, we generally generate about 20 kilowatts a day. In California, your rates can become 12 to 13 cents per kilowatt hour in the low end up to 50 cents per kilowatt hour. What he is saying here is that it took 0.05 kilowatt hour for 1 hour print on the Replicator 2. He acquitted that to a percentage of the total cost of them. 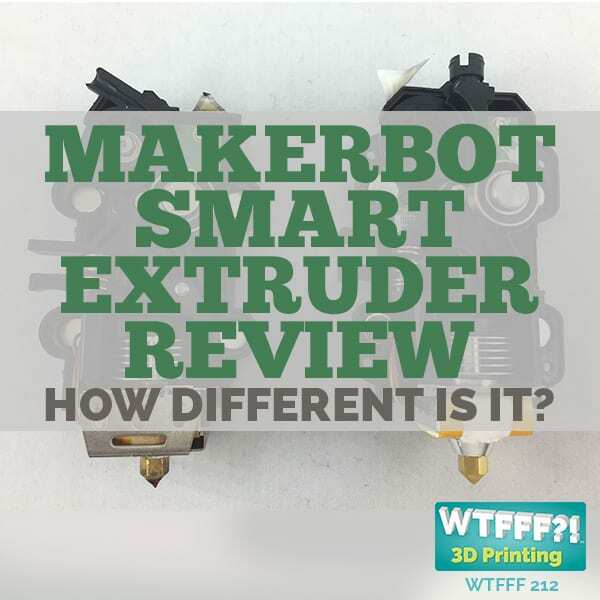 This article goes into a filament as repairs and upgrades and it covers many different things evaluating on what getting into 3D printing really cost including printer depreciation and things like that. He calculated and forget about the British Pound portion of it because that doesn’t matter. 0.06% of total print cost was electricity in the model they use. You can see that you are talking about one half of 1% of the total cost of electricity. I check this and see what happens with computer use in comparison. It is about 1.05 of kilowatt hours for a computer use. It is more to run your computer than your 3D printer. A lot of printers these days especially the ones that use and have a heated bed and generating heat is just straight resistance and you use more electricity generating heat. I am sure that there would be some numbers to that, but unfortunately we don’t have that today. You are going to use electricity if you are generating heat with a bed. But it is still okay. It might use twice as much electricity or maybe 1.2% instead of 0.6% of your total cost. I still think electricity consumption in terms of a factor of cost of goods in running your 3D printer is very low. It is such an insignificant factor that I am not going to worry about it when talking of business plans, because we still have business plans or for things that we want to do when we are not operating a 3D print farm. It is not our intention, but we certainly are going to have a lab for testing with a bunch of 3D printers that are not for production, but for testing. We have a dozen 3D printers that are running 24/7 in there. Our computers, our monitors, and some of the other things that we are doing are probably going to consume a lot more electricity than the 3D printers. I like to take a deeper dive at this, and I hope it is not boring for people. But this is for you who are thinking about these things, just like asking yourself if you need to put in a dedicated circuit at your homes for 3D printers. If you have 3 or more 3D printers at your home, you may be a real enthusiast and you might do that. For 3D printing, you don’t need a dedicated circuit, but you might want a UPS or a battery backup. You might want that because that is what I spend my money worrying on about. I think that can help you save a lot of headache if you temporarily lose power or if you are an area if you have an unstable power grid. If the power is not going to be back for days then you are probably SOL on that, but if you just have flickering lights that is where a UPS is going to save your print and your hard work. Now that we have more data on 3D print power consumption, we didn’t really find out anything we didn’t know based on just usage, but this confirms original thoughts. Just don’t worry about 3D print power consumption, don’t include it in the cost, or just get solar. Solar power is indeed vital here in the southwest part of the country. I remember back where we were in Rhode Island where we had some neighbors who put solar panels on their houses, which is why I think it is happening in all parts of the country, even though it is rainy. Here in the southwest, I don’t think any house should exist without solar panels on it. It is just a waste of potential or green energy if you do not have one. We will be back tomorrow with another mini-printer review. It will be Part 2 of the battle of the minis, so you might want to come back for that tomorrow. There will also be a special announcement that will come in tomorrow about our coffee sleeve.